Innovation and creativity are two of the key characteristics that distinguish cultural transmission from biological transmission. 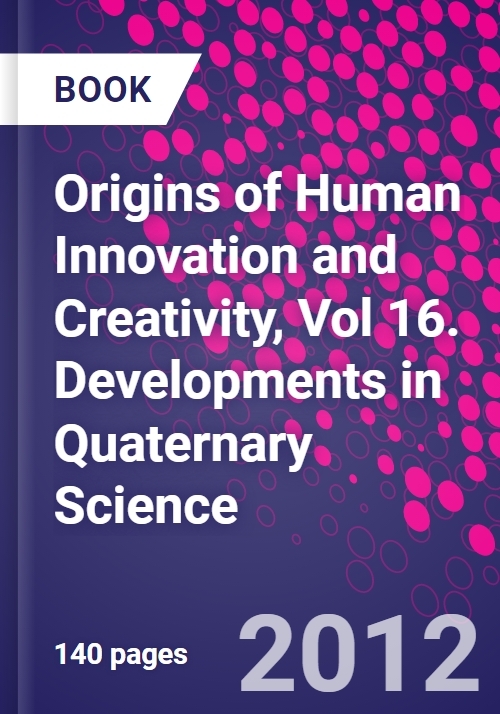 This book explores a number of questions concerning the nature and timing of the origins of human creativity. What were the driving factors in the development of new technologies? What caused the stasis in stone tool technological innovation in the Early Pleistocene? Were there specific regions and episodes of enhanced technological development, or did it occur at a steady pace where ancestral humans lived? The authors are archaeologists who address these questions, armed with data from ancient artefacts such as shell beads used as jewelry, primitive musical instruments, and sophisticated techniques required to fashion certain kinds of stone into tools. Providing 'state of art' discussions that step back from the usual archaeological publications that focus mainly on individual site discoveries, this book presents the full picture on how and why creativity in Middle to Late Pleistocene archeology/anthropology evolved. Scott Elias grew up in Colorado, in the Rocky Mountain region of the western United States. He attended the University of Colorado, and got BA degree in Environmental Biology. He continued his academic career at the same university, and received his PhD in Environmental Biology in 1980. His thesis topic concerned paleoecology of Holocene-age peat deposits in arctic Canada, focusing on insect fossil analyses. Following his PhD, Scott became a post-doctoral fellow under Prof. Alan Morgan in the Earth Science Department of the University of Waterloo, Ontario. He also spent six months as a visiting scientist at the Geobotanical Institute of the University of Berne, Switzerland, in 1981. Scott returned to the Institute of Arctic and Alpine Research (INSTAAR), University of Colorado, in 1982, and was a research associate and fellow of the institute during the next 20 years. His research continued to focus on paleoenvironmental reconstructions based on fossil insect assemblages. He has authored six books on paleoecology and natural history of Alaska, the Rocky Mountains, and the arid Southwest. In 2000, Scott accepted a lectureship in the Geography Department of Royal Holloway, University of London. He also has maintained an affiliation with INSTAAR. He is now a Reader in Physical Geography at Royal Holloway.